A gorgeous set of couples matching hoodies brings a regular quality of the table to make a remarkable sign of love. The salt print comes in a black color hoodie while the pepper comes in a white color hoodie. 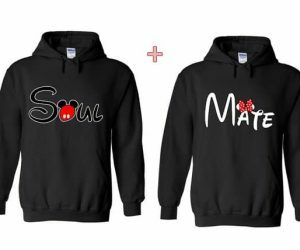 Here in this article, I have curated a list of the best collection of matching couple hoodies for him and her. All you need to do is pick which suits you the best or you can simply customize it as you may like.